Want to get away from the crowds? 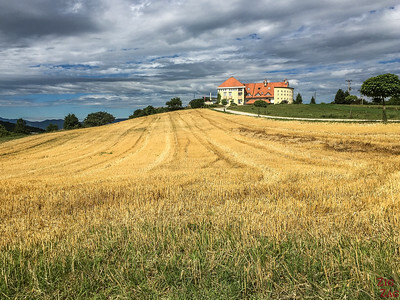 Let me show you 5 amazing places to visit Slovenia off the beaten path. 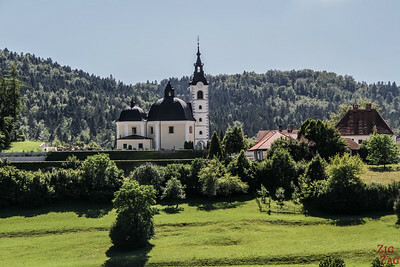 Let's discover towns, regions and monasteries where you could visit almost by yourself: the wine region of Brda, the unique Hrastovlje church, the long Krka Valley, the Zice Monastery and the Unesco town of Idrija. Slovenia is full of stunning landscapes and unique attractions not to be missed: Lake Bled, the Postojna caves and Piran are not to be missed. But you won't be alone not missing them!!! 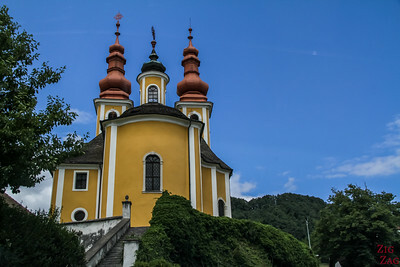 Idrija - despite being a Unesco site, there were hardly any visitors. I had the castle museum almost to myself and it was fascinating to learn about the mercury mine and the lace industry! 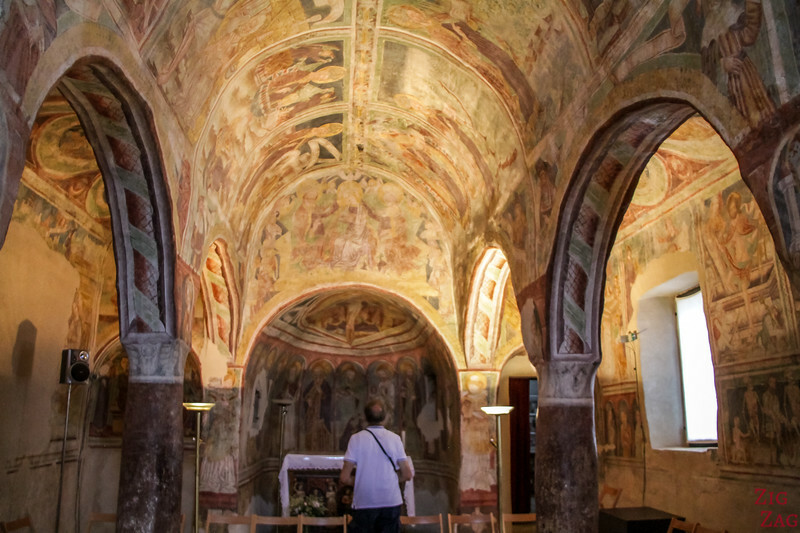 Hvrastolje church - Not far from Piran, this unique church has frescoes that are uniquely preserved! 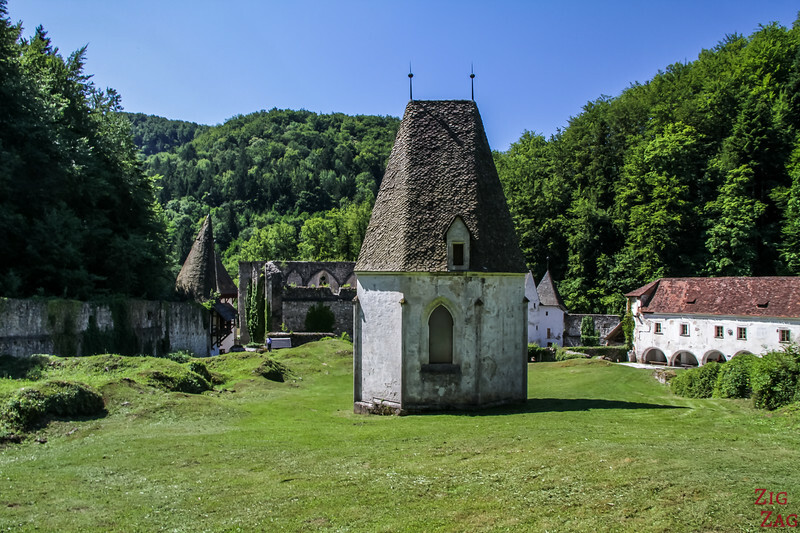 These 5 locations, along with many other beautiful places, are included in my eBook: The Road Trip Guide-Slovenia. 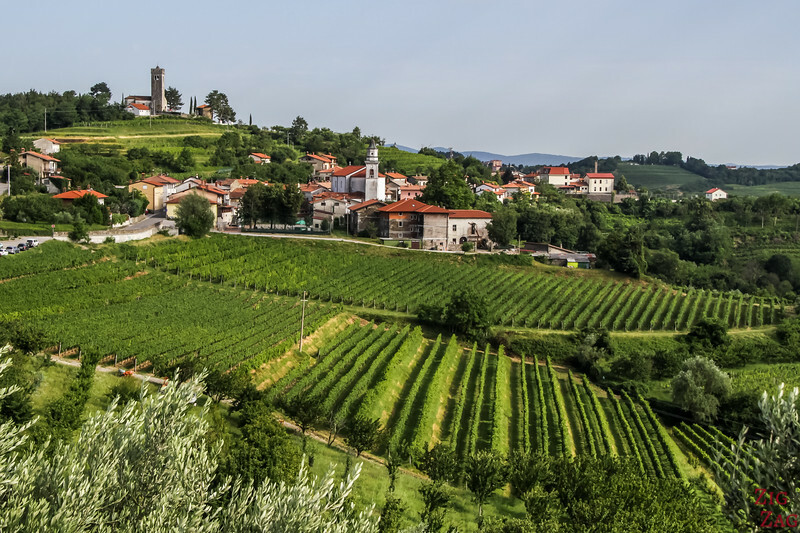 Why visit the Brda Region? 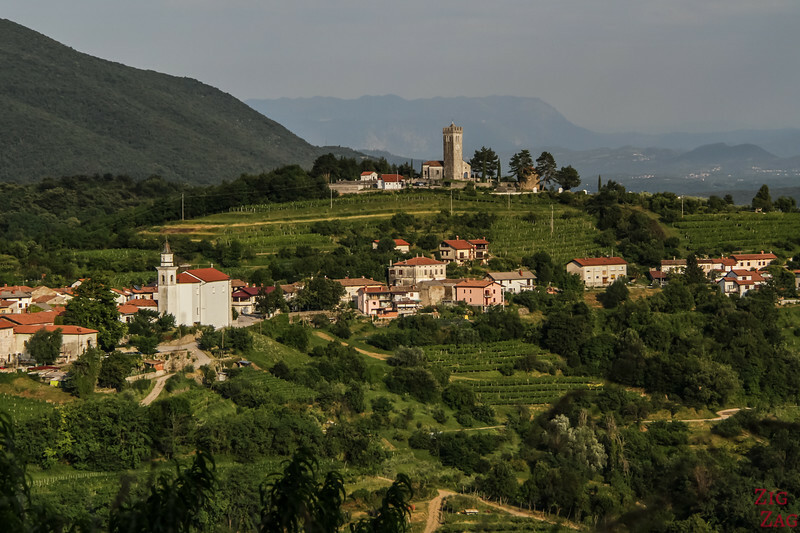 I think this is the most beautiful wine region in Slovenia but it is really overlooked by the tourists, except the Italian ones since it is close to the border. Off the beaten track, it is sometimes refer to as the 'Tuscany of Slovenia'. It offers rolling green hills covered with trees and vineyards and old villages with towers and charming houses. 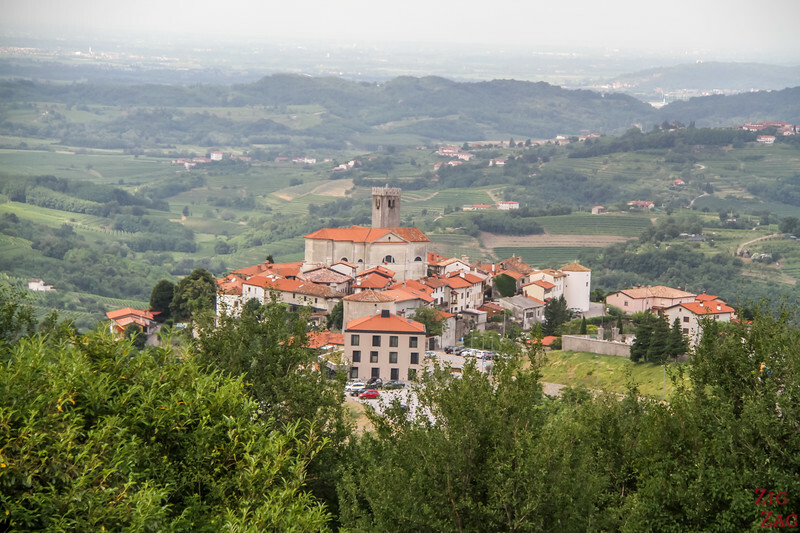 How to get to the Brda Region? 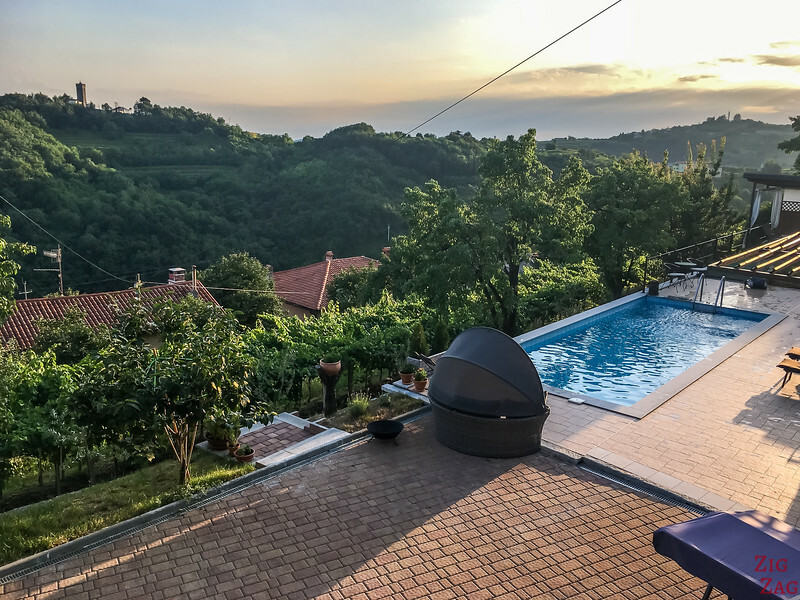 The Brda region is located in a secluded area of Slovenia, protected by the Julian Alps. The Main town is Dobrovo. Only accessible by car on a Slovenia Road Trip. Well, first of all it is on the list of Unesco World Heritage (see the page) for the Heritage of the Mercury mines. Yet, because it is isolated in the mountains, it does not see to receive many tourists. I do think it is worth the detour with the great museum in the castle, the tour of the oldest mine and the surrounding hills. 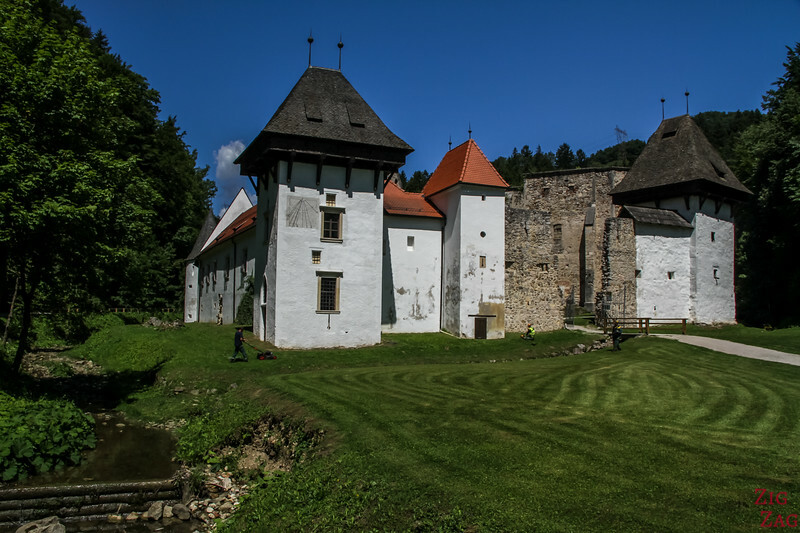 Castle of Idrija with its museums - learn more about the Mercury mines, their history and their processes. 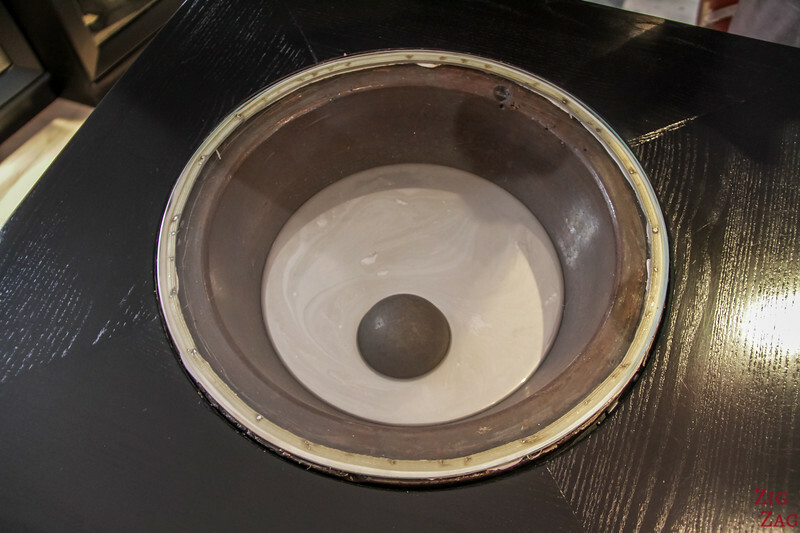 You can also learn more about Mercury itself. 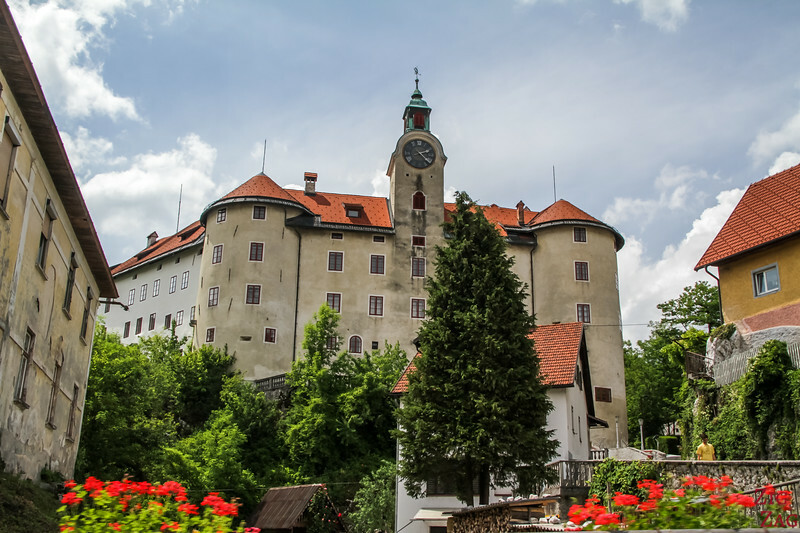 How to get to Idrija? Why visit the Krka Valley? When visiting Slovenia, most tourist go west or South. 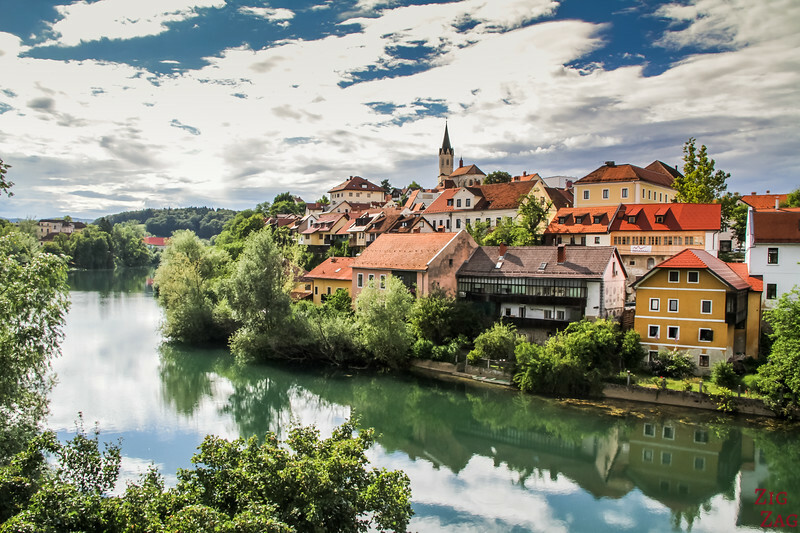 The Krka Valley is in the South East, along River Krka. 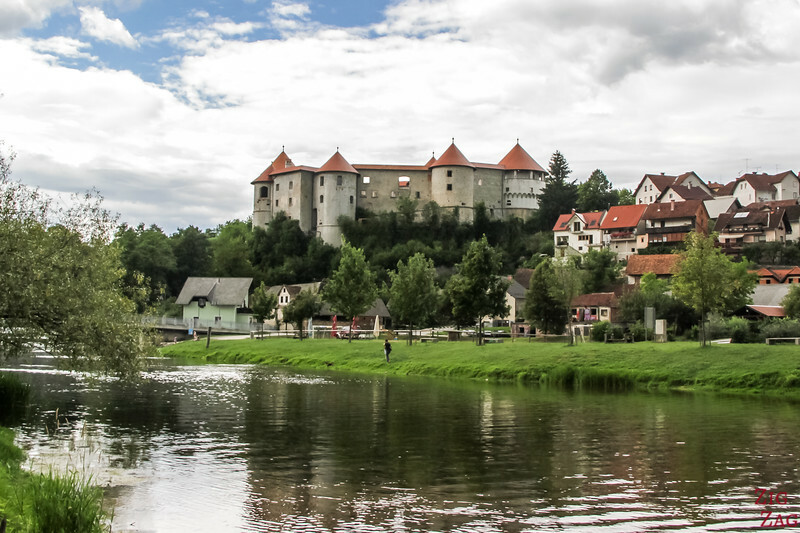 The main town is Novo Mesto. How to get to the Krka Valley? Where to stay in the Krka Valley? 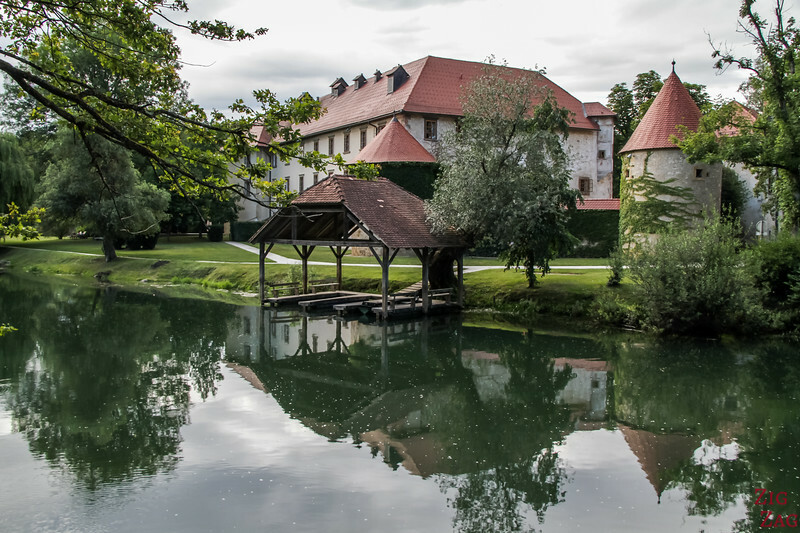 One of the favorite options to stay in the Krka Valley is to sleep in the Ototec castle which has been turned into a Luxury hotel. It is located in the middle of the river with a magnificent park. For a more budget friendly option, there is the B&B Vila Ototec. The Decor is very basic, but the rooms are large and clean and the views from the restaurant terrace are splendid especially at sunset. 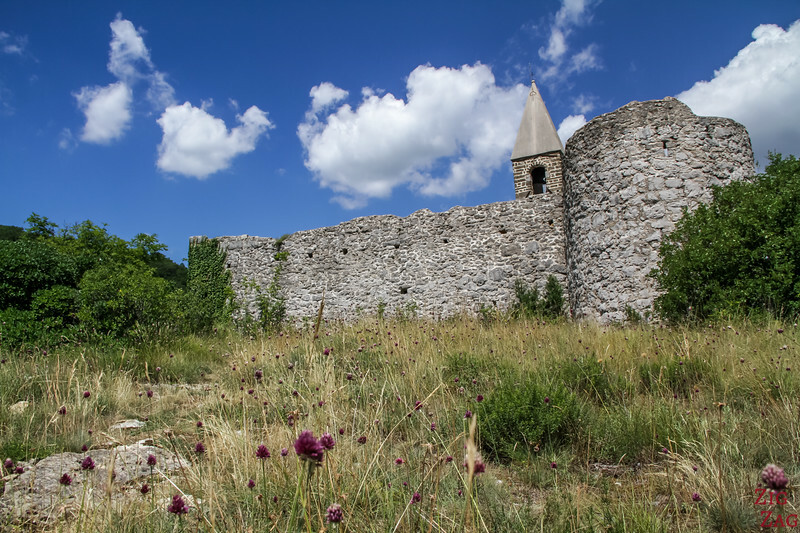 Why visit the Zice Monastery ? If you want the feeling that time has stopped, this is a place to go. 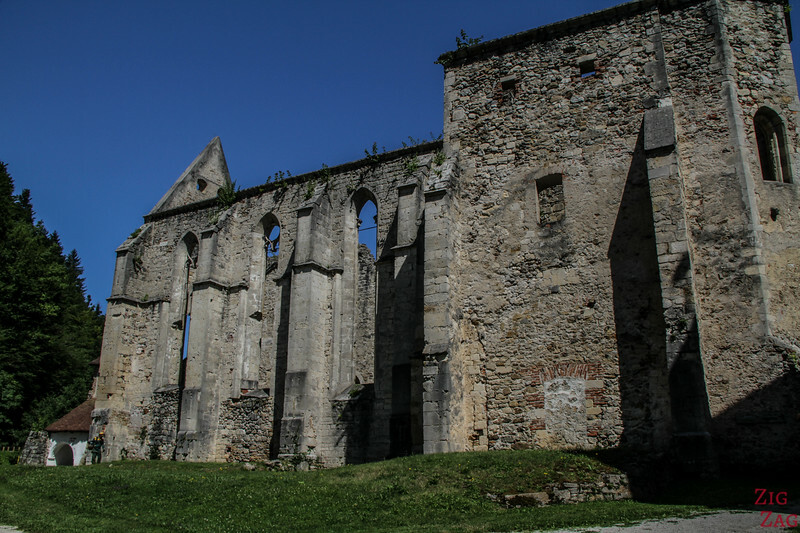 Located in an isolated valley, in a very peaceful area, the charterhouse is full of charm and history. Founded in the 12th century, it was the home of monks who lived in total silence and dedicated their life to intellectual work. I must admit I chose the location because of how photogenic it was, but the visit was really interesting with the audioguide. How to get to the Zice Charterhouse? 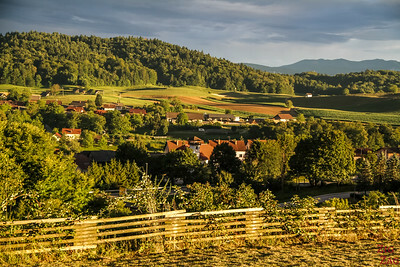 East of Ljubljana, not far from the charming town of Celje. Short drive off the Motorway A1, and yet it is isolated! 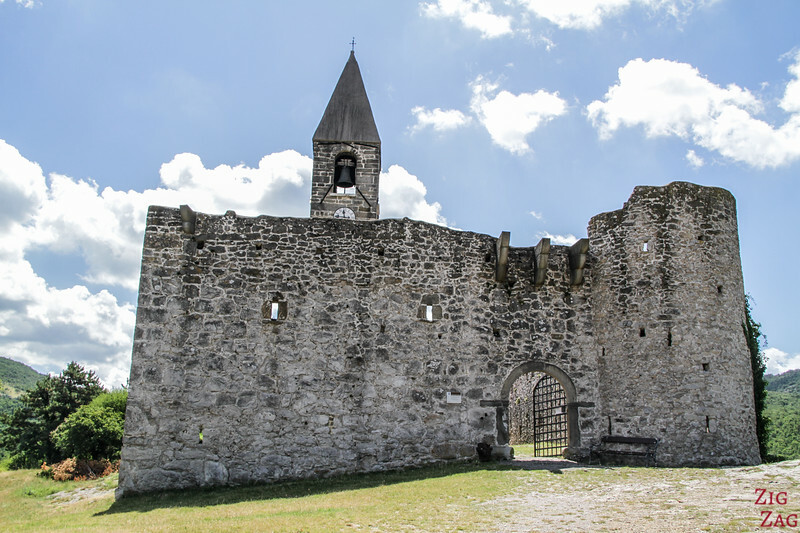 Why visit the Hvrastolje Church? The main interest are the 15th century frescoes that are in excellent conditions. An audio is played to explain the different scenes covering all the walls and rood of the church. 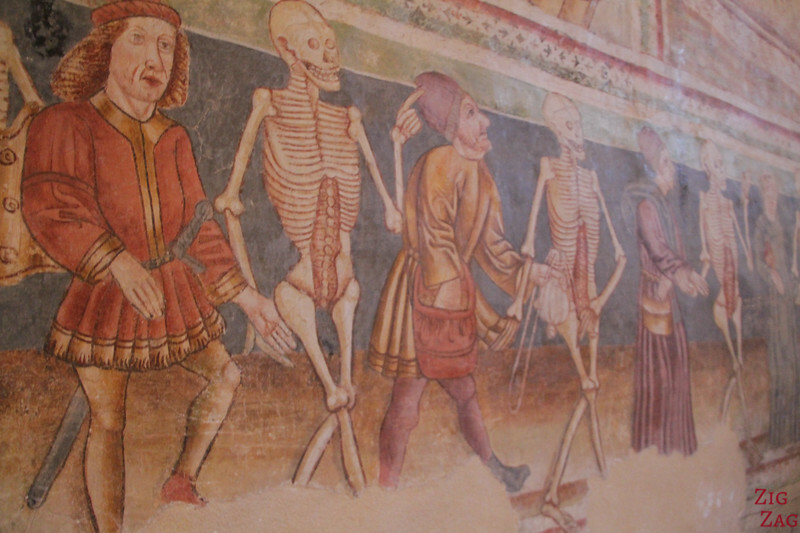 The impressive frescoes inside the church, especially the Danse Macabre (dance of Death) of which a copy is presented in the Ljubljana castle. How to get to Hvrastolje? 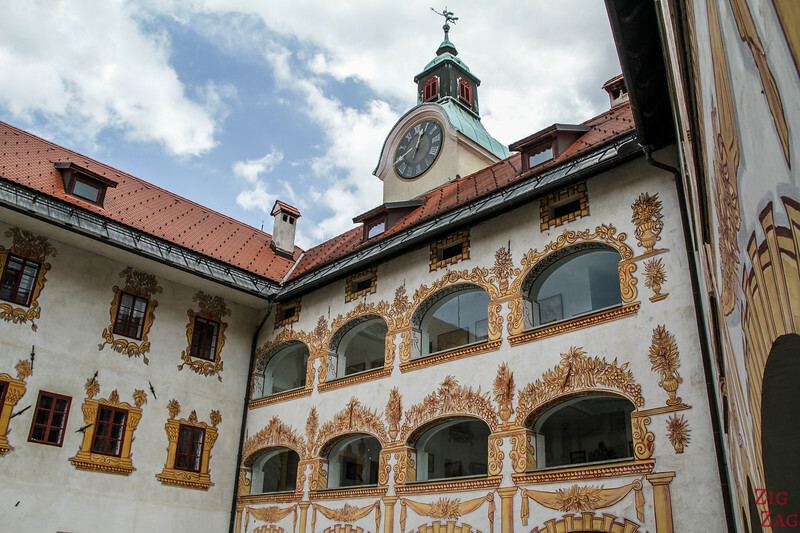 And eveywhere you can visit Slovenia off the beaten path. 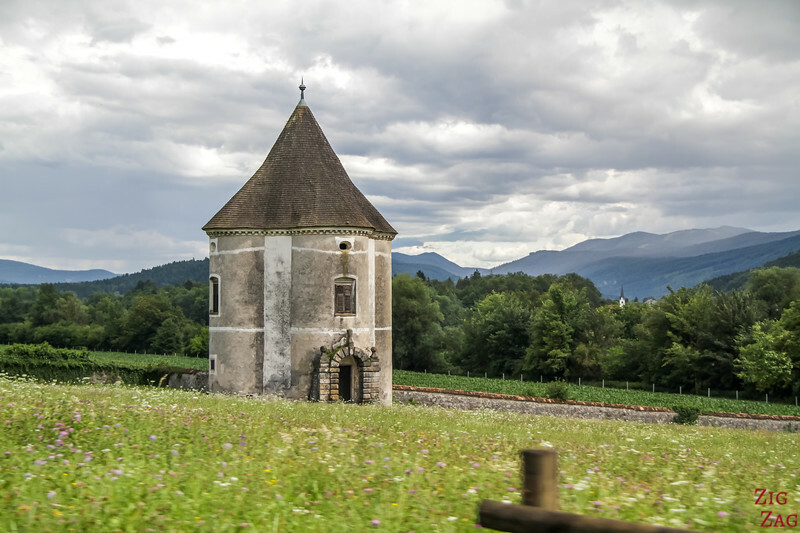 Just take smaller roads and you will discover impressive small churches. I was really impressed by how well maintained and beautiful they are. Sometimes they were closed, and sometimes we were lucky to meet the representative who opened the church for us. There are some true gems to be discovered. So you enjoy going off the beaten path?